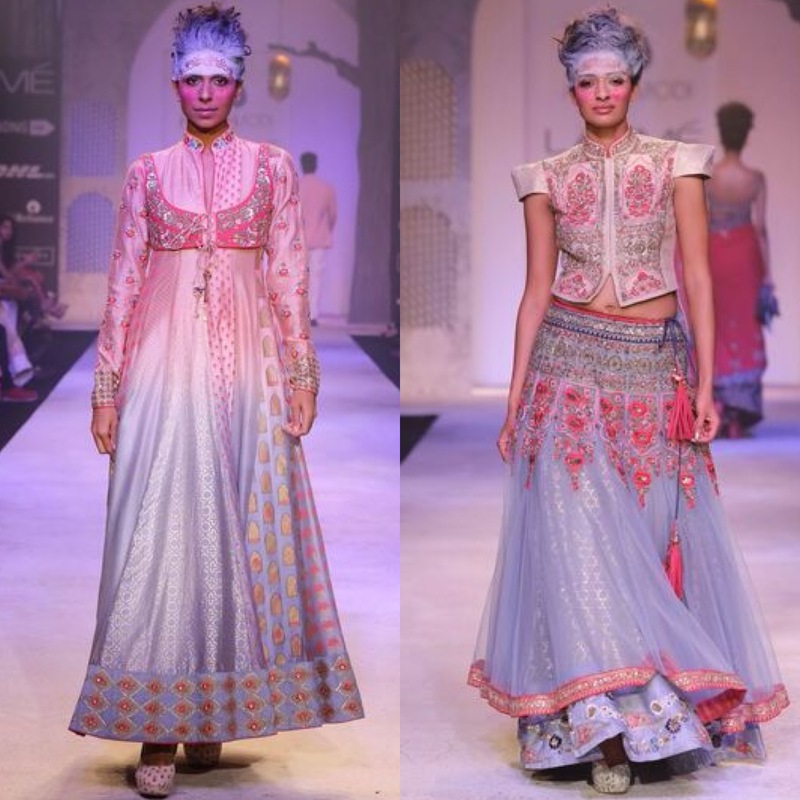 Anju Modi, one of India’s finest designer who has won several awards for best costume for the movie Ram Leela, hit the Lakme Fashion Week runway to present her collection “Seeking Paradise.” She wonderfully creates voluminous lehengas with beautiful embroidered full sleeve jackets for a modern touch. 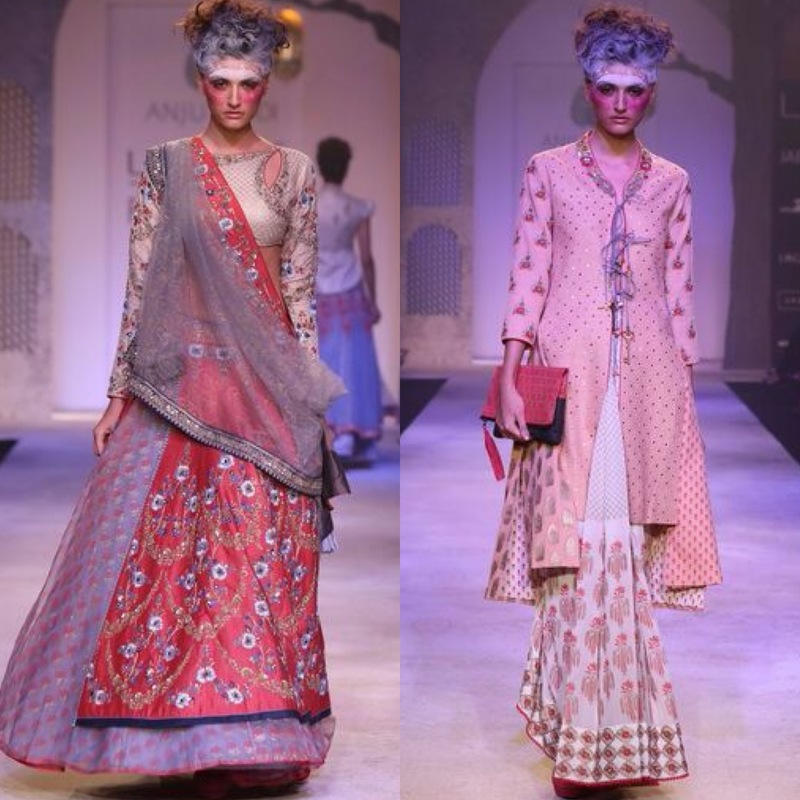 The main focus were on the beautiful intricate details, embroidered flowers, pinjida prints, and many layers. 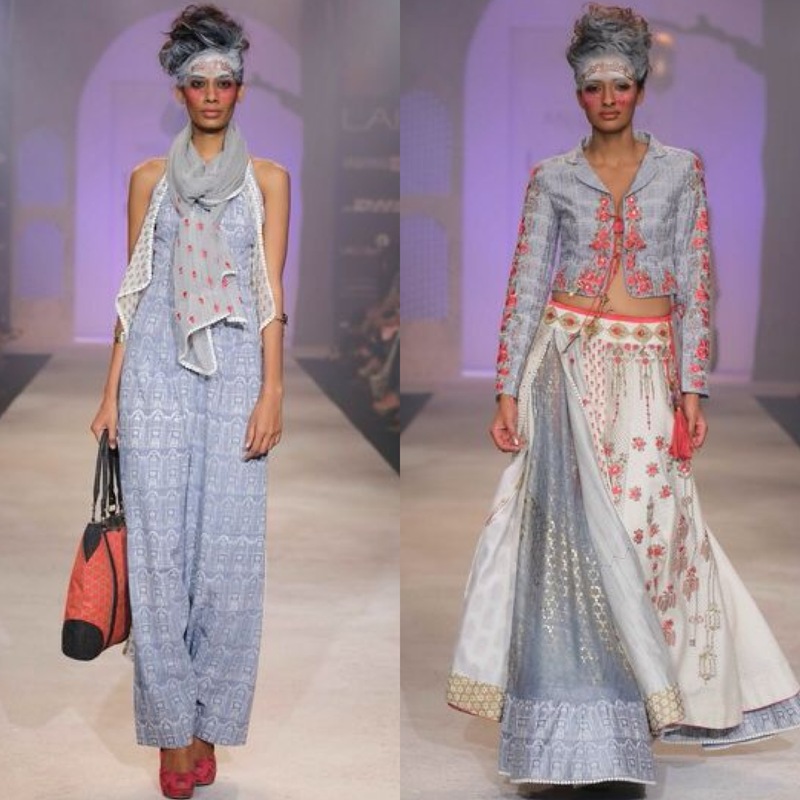 She knows the perfect way to mix prints and media to give it a vintage and an ethnic feel to it. 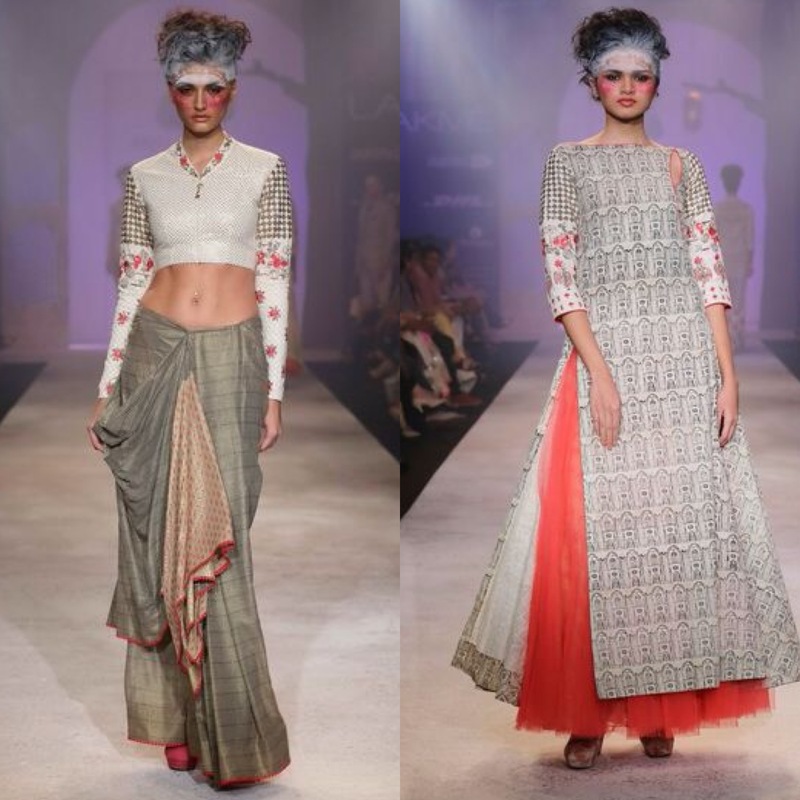 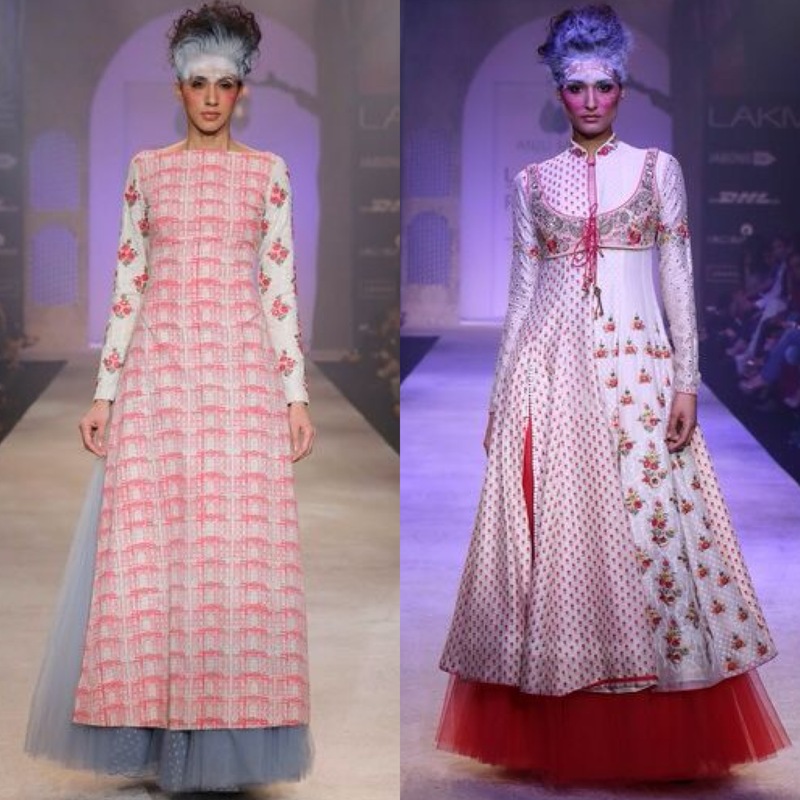 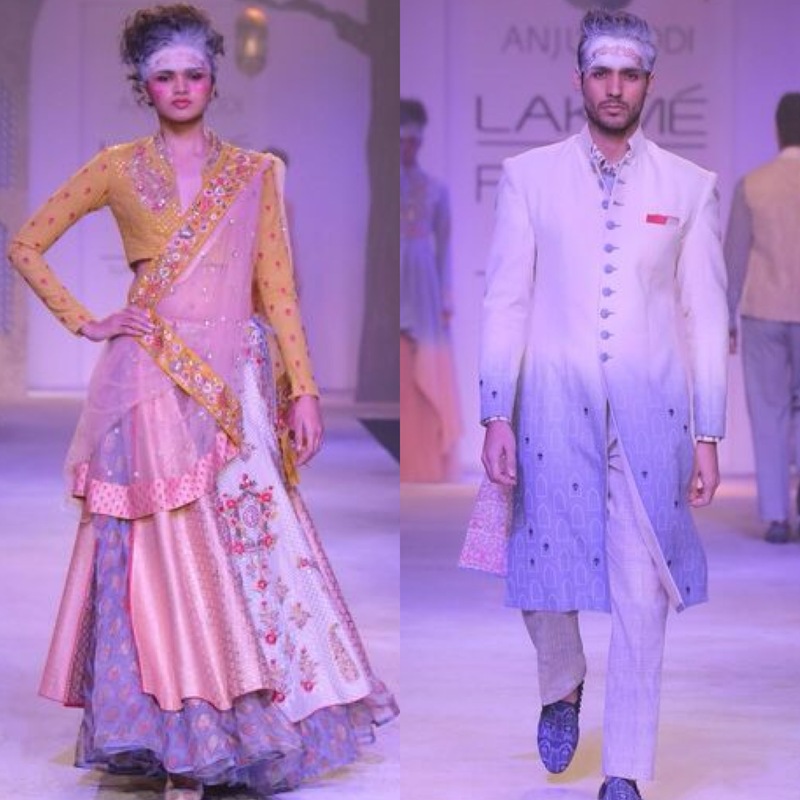 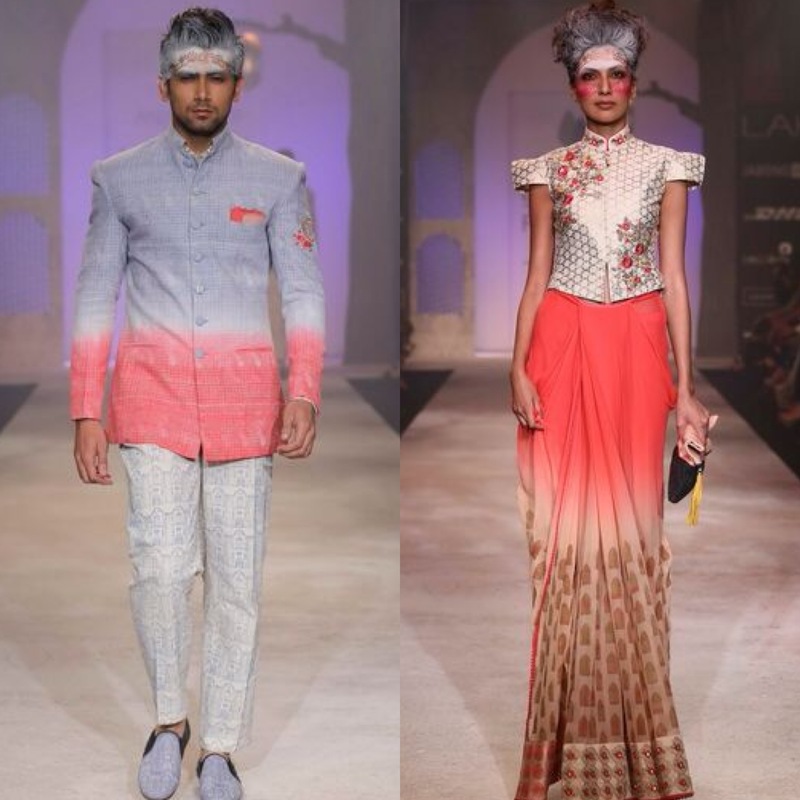 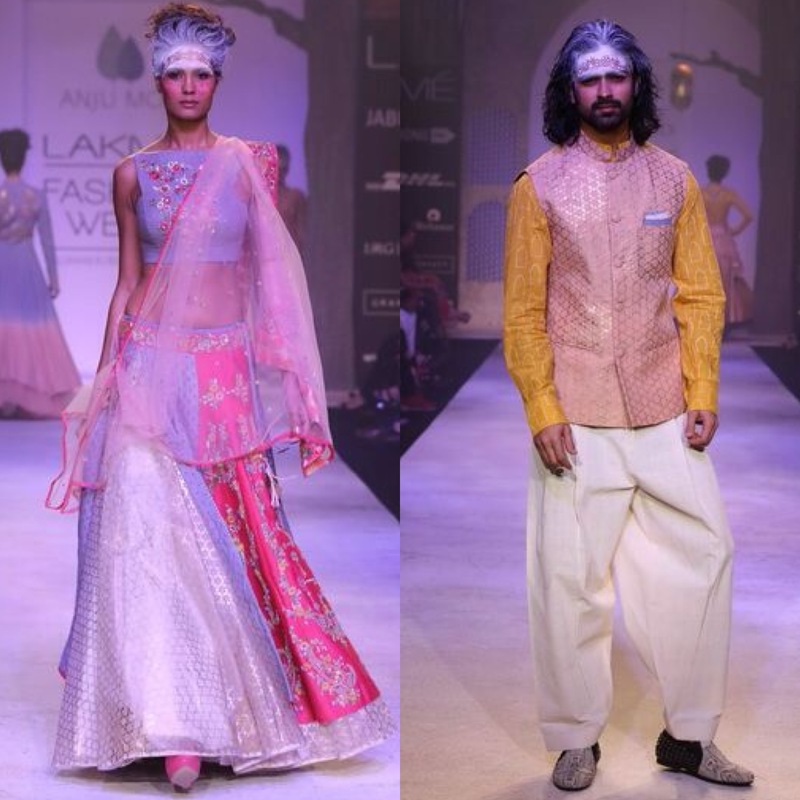 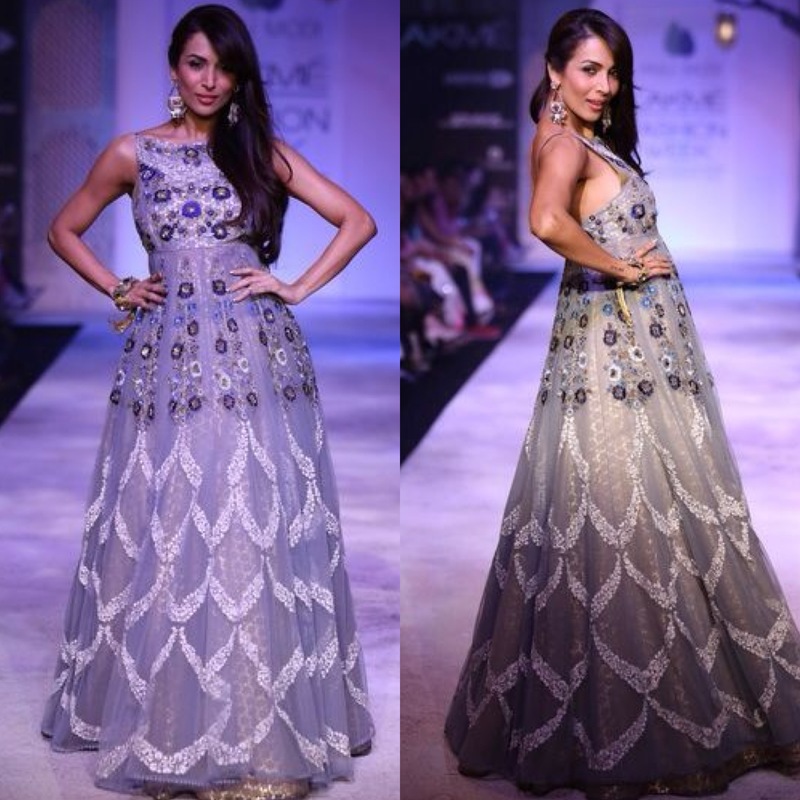 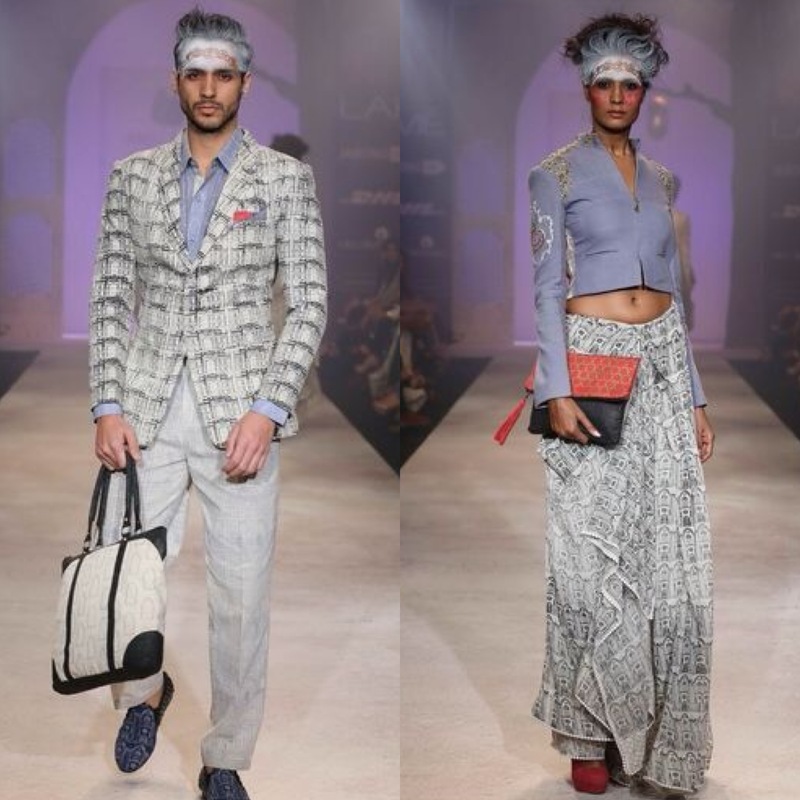 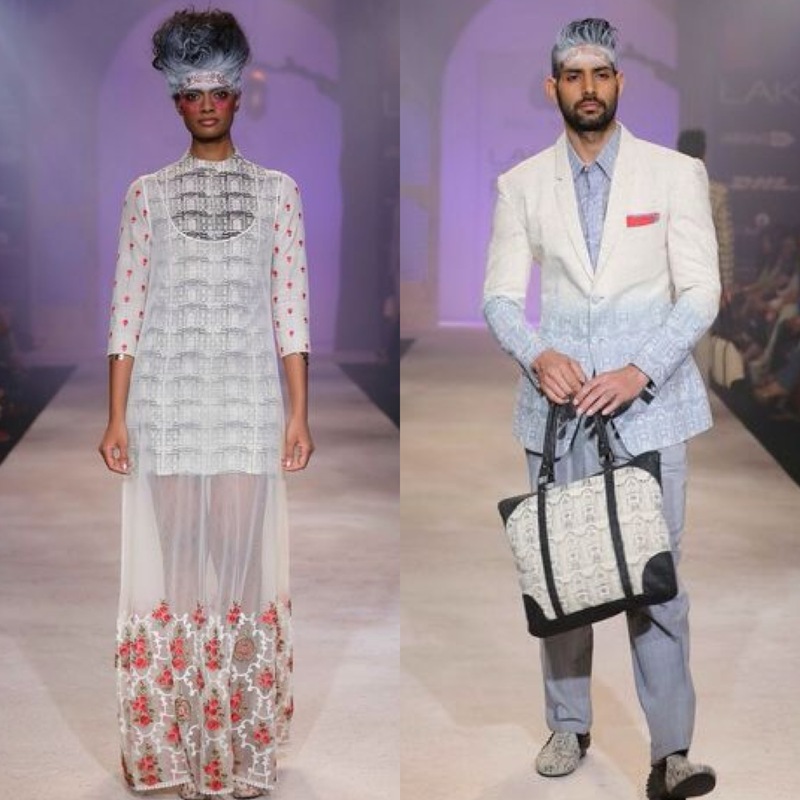 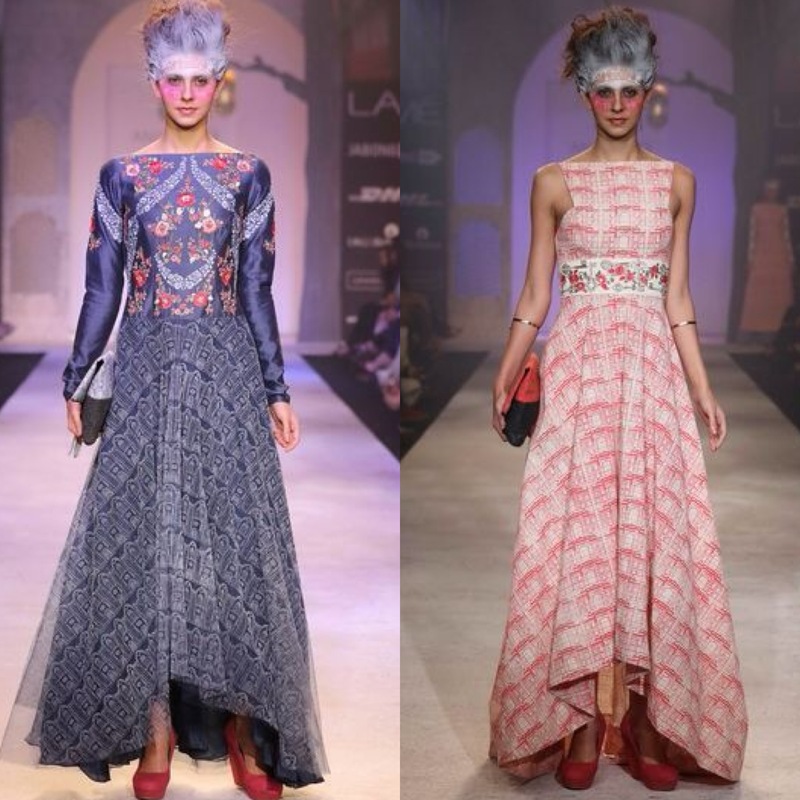 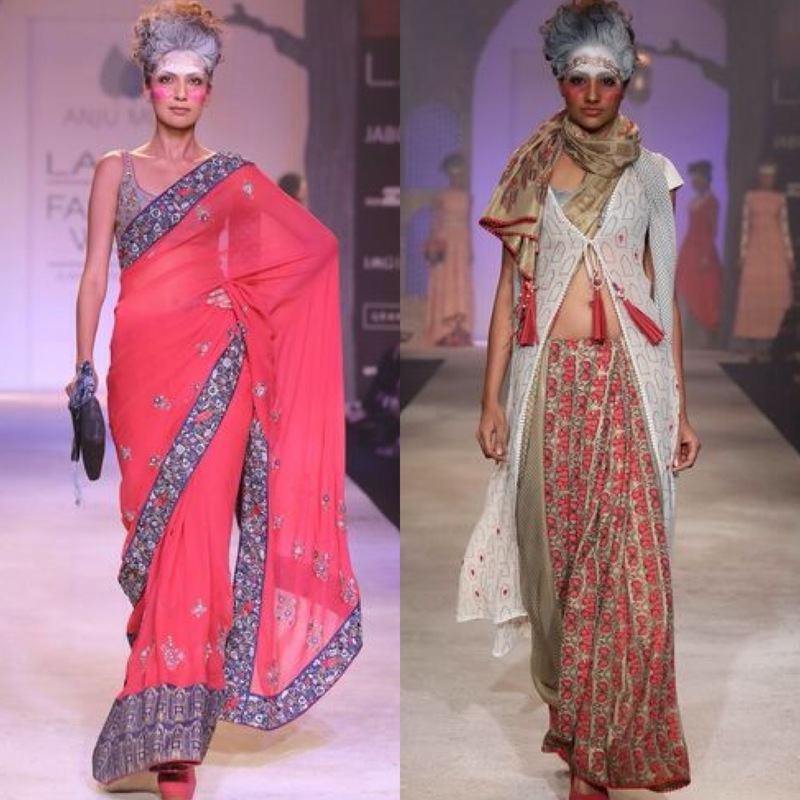 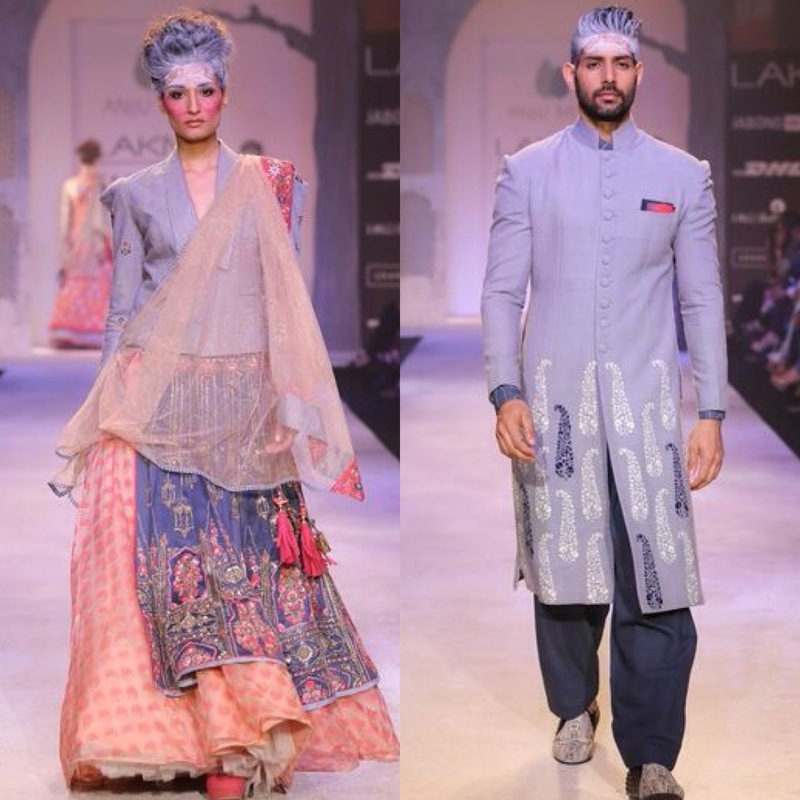 It was one of my favorite collections at India Lakme Fashion Week.